As a child, Bria Schurke traveled to Eastern Russia 10 times, first setting foot in Siberia at age four while visiting her father’s expeditions. As a first grader she went to the North Pole and grew up among sled dogs near Ely, MN learning to be a musher and becoming an accomplished Nordic skier. Bria has worked at medical facilities in India, Kenya, and Somalia and has worked as an instructor for the National Outdoor Leadership School. 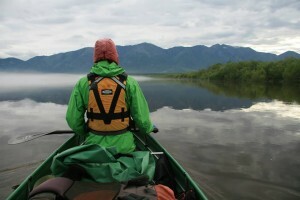 In June of 2013, Bria returned to Russia with Alexander Martin as the two set out on a 2900 km canoeing expedition in northern Mongolia, central Siberia, and Far Eastern Russia as part of their Asia Rivers Expedition. You can learn more about their adventure at facebook.com/AsiaRiversExpedition. Bria Schurke, welcome to The Pursuit Zone.